William K. Dane was a highly-respected senior aircraft analyst. During his 30-year career at Forecast International, he co-authored Aircraft Forecast, Civil Aircraft Forecast, Military Aircraft Forecast, Rotorcraft Forecast and Airborne Retrofit & Modernization Forecast. 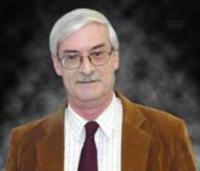 As a senior editor, Mr. Dane developed the World Aerospace & Defense Intelligence Newsletter. He was also a major contributor to Aviation Week & Space Technology's 2005, 2006 and 2007 Aerospace Source Books. Mr. Dane was a regular visitor to major international aviation events, articularly the Paris and Farnborough Air Shows, where he represented Forecast International and provided presentations on a variety of aerospace issues. Mr. Kane passed away on February 16, 2007.